I entered into this thing with the purest of intentions. I wanted to read something so current that there would be at least three other people in the subway carriage holding the same book. The last time I remember that happening was when I read High Fidelity by Nick Hornby during college. Usually my reading centers on catching up with books I haven’t yet read and I fall farther into arrears with current releases. So I bought a copy of Donna Tartt’s The Goldfinch. International bestseller, subject of rave reviews from The London Evening Standard to The Washington Post. I wasn’t so stupid as to buy it in hardback though. The size of it in paperback proved hurdle enough. I do not begrudge reading long books. On the contrary, I look forward to getting swallowed up by them, cushioned by all those pages and the revelations they will bring, spat out at the other end a changed person. Well, I’ve just finished it. And I feel spat out alright. Miss Tartt, that book did not need to be 771 pages long. You know it didn’t. You could have told that story–and told it better–in 385 pages. Exactly half. 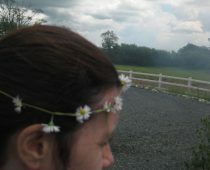 You needed to edit, kill your darlings, Miss Tartt. You are not above that, are you? I cannot put a book down unfinished. It’s a bane of mine. But I’ve dropped The Goldfinch from my Citibike speeding through Chinatown–some kind soul caught up with me to give it back; I’ve watched it slide into a puddle of water, I’ve placed it in a bag next to an old printer cartridge leaking ink. All this and it doesn’t bear a scratch. I was stuck with it. But, boy, am I mad about it. Do you think we don’t have lives to lead, Miss Tartt? Our own books to write? Are you under the impression that every sentence you squirt is so precious it must be shared with us? Did that period set in Vegas need to stretch hundreds of pages? Did we need to be present for every pill-popping, eye rolling, vodka-swilling second of your protagonist’s (can’t bear to use the word hero) teenage years? Where’s any evidence of the connection to this bloody painting in all these aimless chapters? Why did you turn the last quarter of the book into a badly written heist screenplay? What’s with the weird Harry Potter shadows? The protagonist is addressed as Potter by a friend because of his round tortoiseshell glasses, one of the villains is called Lucius Reeve (Lucius Malfoy? ), the Hobie figure is like Hagrid but his expertise is in antiques not wizardry… These pathetic allusions to JK Rowling are where the magic begins and ends. There is no soaring prose, no scintillating dialogue. And as for those reviewers who employ the humdinger Dickensian to describe it, I respond by urging other book buyers not to have such great expectations. What is the fuss about? I’d never read any Tartt before. She spent ten years on this. Don’t expect me to be here in a decade’s time, lady. I will be breezing through life oblivious to your latest output. If this experience hasn’t taken years off my life. You should be ashamed of yourself. Not at the mediocrity–that threatens us all. But that your ego encouraged you to believe 771 pages of it was acceptable. I thought the marathon was hard-going. But I got more out of that experience, learnt more about myself, understood more about the human race as a result. Your protagonist was a passive twit who waited, just like this poor reader, for things to happen and then went along for the ride. What a wild goldfinch chase you took me on! 70 pages from the finish line, what I desperately needed were those cheering New Yorkers from November 4th, and I wondered how could you possibly halt this episodic lumbering 16-wheeler you’d been steering. You must have wondered the same thing because it seems you just pressed the brakes and abandoned it. Wish I could have done that. My debut novel is available. You can buy Silk for the Feed Dogs here. 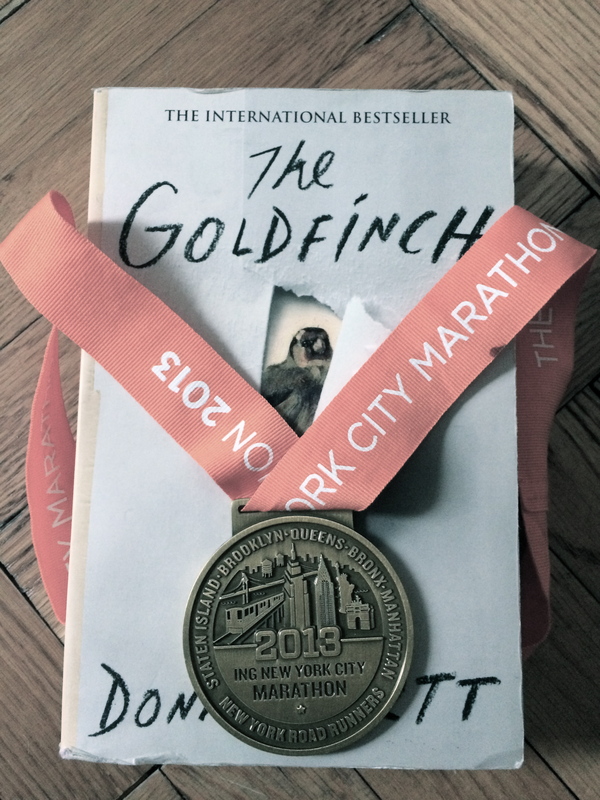 Tags: International bestseller, New York TImes Bestseller, review of Donna Tartt's The Goldfinch, Silk for the Feed Dogs, The Goldfinch and Harry Potter, The Goldfinch by Donna Tartt, The Goldfinch Dickensian? Excellent post. Well done. A delicious fury. I haven’t read that book yet but I’m pretty sure I’d agree with you, in fact you’ve spared me, so thanks for that. I hate those long books too, they sooo could be cut down like you said. Next for you: Infinite Jest and some Pynchon…not. This was the best post I read in ages. It was truly my pleasure, Colin. Lady, I only wish I had your “stick-tuitiveness”–I don’t finish a thing and have the audacity to read 5 and 6 books at a time. But I am sure am glad this book wasn’t one of the 5 or so I’m currently reading (not that I would’ve finished it anyway…but still!) Thanks a whole lot for that review. I’m glad I’ve saved you juggling a 7th. Mind you, it’d be too heavy to juggle anyhow, Sass. You’d put your back out to add to the trouble of the experience! I have to say I don’t have that problem. I’d no more persevere with a 700 page dud than I’d allow myself to be pinned down by a crashing bore for an entire evening in a room full of scintillating people. Life’s just too short. It’s OK to toss it aside, you won’t be sent to hell for crimes against literature. The author has to earn the reader’s attention, not the other way round. Haven’t read this one yet, it got trashed by Private Eye here in the UK, and you’ve done nothing to encourage me to take another look. I remember reading Secret History years ago, quite enjoyed it but I seem to recall it was a tad overblown if my memory serves me correctly, which it probably doesn’t. Oh no no no! I just bought the book for the same exact reason as you. I tend to buy or dowload en masse and I have piles of books still waiting to be read from years ago. The goldfinch got such rave reviews everywhere and I did like The Secret history a lot. I have to say I wasn’t quite sure the plot would interest me but the reviews were so spectacular, I was persuaded. What to do now? Give it away?? I am getting better at abandoning books I don’t like (it was one of last year’s resolutions) although they have to fall into such awfulness to shame me into abandonment. Mediocre books I still get through. Oh well, Ian McEwan will be next then. Please don’t review it any time soon. I love this review! I love your honesty! 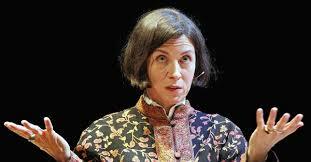 I especially love, “Do you think we don’t have lives to lead, Miss Tartt? Our own books to write? Are you under the impression that every sentence you squirt is so precious it must be shared with us?” But mostly I love that you would rather run a marathon than read a pretentious and overly written book. You are a writer after my true heart, hee, hee. Cheers and thanks for a great post. You’re very welcome, Cinthia! Next up, Dolls. Now that’s already a friendlier prospect. I too, feel like I have wasted something if I don’t finish to the end of the book. Most likely it was my time. 771 pages you say? Won’t be happening! You may indeed be right, I may have missed the boat. As an author she was never really on my radar but I was aware of her reputation and that, combined with the hype of this being one of the ‘big’ books of the year convinced me to buy. I don’t recall ever having been so disappointed–but not only that, I felt my time had been wasted. She has millions of fans and is considered by many to be a great contemporary writer but unfortunately I didn’t find her prose in any way remarkable. I am a sucker for a pretty sentence and will go on any journey however far fetched if the words are pretty. I respect your opinion though. In my little corner of the world she gets a big thumbs down but I recognize I am in the minority. I wouldn’t feel as disappointed by Bridget jones because Helen Fielding has never been pushed as a heavyweight. Good luck to all women writers, I say, and to the differences that make us what we are, but Donna I will pass on the next one. Wishing you continued happy reading! I must learn from you and do the same and save myself such anxiety. Life’s too short and there are too many worthier books! and now I’m so relieved store didn’t have paperback version!! Ms. Mellon..I do believe that was a rant! Bravo Jackie. It’s on my reader waiting its turn but I’m happy to write it off because, as you point out so energetically, life is too short. My thanks. I completely agree with you! This is what happens when someone writes one, fabulously successful book. No-one really liked The Little Friend much either, but none of the reviewers seemed quite able to believe that someone who’d written The Secret History could churn out a total dud. And it’s not like I learned my lesson either – I own both The Little Friend and The Goldfinch in hardback. That’s not just an issue of money – think of the shelf space they’re taking up! Oh yeah, shelf space, add to that an NYC-sized apartment! I might one day attempt The Secret History but not for a long while. My Tartt baptism was The Goldfinch. Did you read it? I understand it must be hard to follow an international blockbusting first novel but Zadie Smith has remained pretty consistent after White Teeth although I wasn’t a huge fan of The Autograph Man. And if you’re working on it for ten years maybe you need your trusted readers to be more honest…just a thought. The whole thing still baffles me. But good to know others feel the same way–despite the novel’s worldwide acclaim! Maybe it’s just that publishers know that people – like me – will go and buy a book by an author on the strength that they enjoyed his/her previous work; so the editorial process is a whole lot less stringent if you’ve had a blockbuster like DT. When you compare it with the critical eye that’s cast on the work of debut authors, it’s a bit depressing… And yes, I did read – and enjoyed – The Secret History. Re-read it fairly recently, in fact – knocks spots off the other two. Haven’t tried Zadie Smith, but feel like I should.